Chattanooga, TN - Curbside recycling from ﻿December ﻿26th to ﻿January 8th, for live trees; Request a pickup through the city's 311 system by calling 423-643-6311, emailing 311@chattanooga.gov or using the CHATT311 app. If you use the app, choose the "Brush Collection" option and request a "live Christmas tree pickup". If you have an artificial tree to recycle'; you use the same method, but ask for a "bulky item" pickup. 4504 N. Access Road Click here for locations, updated information and more details. 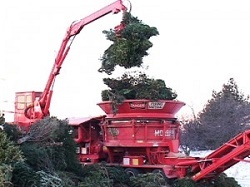 Hamilton County Christmas Tree Recycling - accepts Christmas trees at any hour of the day at all five Hamilton County Recycling Centers through the month of January. Each Center has a designated space located outside the gate for Christmas trees. Participation is encouraged as trees dropped-off will be used by the Tennessee Department of Wildlife and Forestry Division and the Hamilton County Highway Department. The Highway Department chips the trees into mulch for walking trails, landscaping and landfill ground cover. Hamilton County residents are welcome to pick-up mulch from the chip yard located at the Highway Department on Standifer Gap Road at no charge. Household recyclables are accepted at the centers during normal center hours. Residentsive Christmas trees awaiting curbside pickup should place a service request with 311. Service requests can be submitted using the CHATT311 app on an Apple or Android device, by emailing the request to 311@chattanooga.gov, or by calling 311 at 423-643-6311. Residents should contact 311 with any additional questions. Monday & Wednesday 9:00 a.m. till 5:00 p.m.
Saturday 8:00 a.m. till 4:00 p.m.
Monday thru Friday, 9:00 a.m. till 5:00 p.m.
Tuesday, Thursday & Saturday 8:00 a.m. till 4:00 p.m.
Monday & Wednesday, 9:00 a.m. till 5:00p.m. Tuesday & Thursday. 9:00 a.m. till 5:00 p.m.
Knoxville, TN - Click here for locations, updated information and more details. After Jan. 1st, City residents can leave trees at one of the Knox County convenience centers listed below: Trees must be cleaned of all ornaments, lights, wire, string and other decor before bringing them to be tree-cycled. - Sunshine Industries Headquarters at 3000 N. Central Street. Knoxville County Tree-Cycling Program - City residents can also take advantage of the County's Tree-Cycling program. After the New Year, residents can bring unwanted, live Christmas trees for free disposal. Knox County will not be offering mulch pick-up this year, but residents will be able to drop off trees throughout the entire month of January at no cost. Trees must be cleaned of all ornaments, lights, wire, string and other decor before bringing them to be tree-cycled. Drop-off locations are the Dutchtown Convenience Center, Forks of the River Convenience Center, Halls Convenience Center, John Sevier Convenience Center, Powell Convenience Center and Tazewell Pike Convenience Center. Memphis, TN - Curbside pickup, usually the first week in January. Click here for locations, updated information and more details. 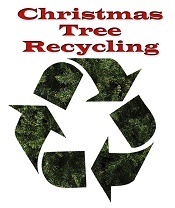 Murfreesboro - Christmas Tree Recycling - Christmas trees may be dropped off at the recycling area at Cannonsburgh Historic Village at 312 S. Front Street beginning on Thursday, December 22 through January 6. As the trees accumulate, they will either be picked up by the Solid Waste Department and taken to their facility to be chipped and/or the Urban Environmental Department will chip them on site and unload the chips at their facility to be used for mulching landscaped areas. Trees may also be taken directly to the Solid Waste mulching site at 4765 Florence Road or, if placed by the curb, Solid Waste will pick them up on their regular yard waste cycle. These departments ask that you strip the trees of all ornaments, lights and tinsel as they cannot be chipped with any remaining decoration. Do not bag the tree. Flocked trees cannot be mulched and are not accepted.C lick here for locations, updated information and more details. Cane Ridge Park, 419 Battle Rd. Una Recreation Center, 136 Una Recreation Rd. Cedar Hill Park, 860 West Old Hickory Blvd. Joelton Community Center, 67 Fairfield Ave.
Sevier Park, 3021 Lealand Ave.
Elmington Park, 3531 West End Ave.
Edwin Warner Park, 50 Vaughn Rd. Lakewood City Hall, 3401 Old Hickory Blvd. Douglas Park, 210 N 7th St. Trees must be cleaned of all ornaments, lights, wire, string and other decor before bringing them to be tree-cycled. No artificial trees can be accepted. Please do not dump any other items at these drop-off locations. Public Works will take the trees to our contractor, Nature's Best Organics of Tennessee to be chipped and composted into mulch. Recycling Christmas trees into mulch, rather than putting them in the trash, keeps them out of landfills and helps save Metro the cost of disposal fees. For more information about Nashville's recycling programs, call 615-862-8750 or visit our website at www.nashville.gov/Public-Works . Murfreesboro Solid Waste Facility - 4765 Florence Road - Monday, Tuesday, Thursday, Friday from 6:30 a.m. to 3:30 p.m.
Shelby County, TN - Christmas Tree Recycling - Dec 22 - Jan 6 (no set hours). Take your Christmas tree, wreaths, garlands & greenery to the Christmas tree recycling center located in the south parking lot of the Shelby County Showplace Arena (105 Germantown Rd). Last year 40+ tons of Christmas greenery were collected and turned into mulch. Mulch will be available to the public in the spring. Drop off your real tree or wreath at Agricenter's ShowPlace Arena lot in the designated area between Make sure there are NO decorations on the greenery. This is the 20th year Shelby County Government has provided this recycling option. If you have curbside service in the City of Memphis or Collierville, you can place your tree at your own curb for collection and it will get turned into mulch. Sumner County - The Sumner County Resource Authority will take Christmas trees for $1.25 for up to 100 pounds. 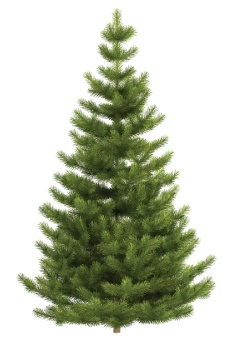 Take live Christmas trees (stripped of decorations, lights, stands, tinsel, etc.) to ther Rappahannock Wire Rd. facility on Monday to Friday from 6 a.m. to 5 p.m. and Saturdays from 7 a.m. to 4 p.m.
Williamson County - Trees will be accepted at the following locations below. Tree stands, plastic wrapping, nails, ornaments, lights and tinsel must be removed. Recycle your tree at Drop-Off Locations will be set up at City of Franklin, City of Brentwood, and City of Fairview Parks. Recycling Boxes are also available year-round at all 10 Williamson County convenience centers. Recycled fresh-cut trees will be turned into wood chips to be used in local parks and for local, natural erosion control at the county landfill. *Fairview's Bowie Nature Center 799-5544. - the Rockwood Recycling in Lebanon at 510 Hartmann Drive from Dec. 26 to Jan. 5. - the Wilson County landfill, 378 Dump Road, Monday-Friday from 7 a.m. to 3 p.m. (for Wilson County residents ONL- County waste customers may use curbside recycling b y putting their trees out by 7 a.m.. They will be collected on the regular chipping service day.